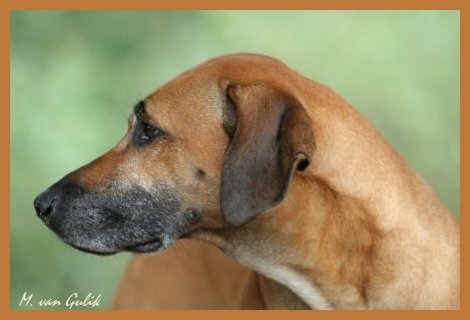 Named for the distinctive ridge of raised hairs on their back, the Rhodesian Ridgeback is a compelling mix of agility, strength, and hardiness. Their broad head is large and smooth, free from wrinkles, and characterized by a powerful jaw. 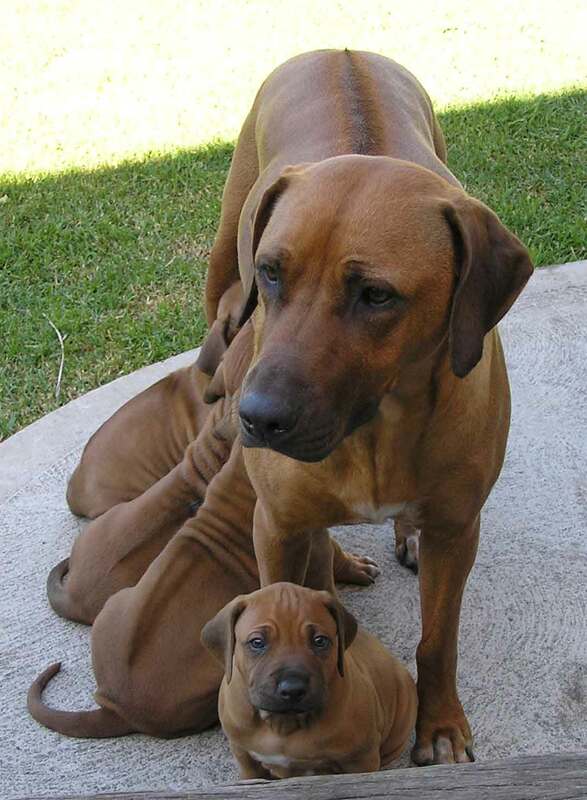 Bred in Africa as a hunter, Rhodesian Ridgebacks have long, straight legs with strong bone structure. Their tail is long and tapered with a slight curve. 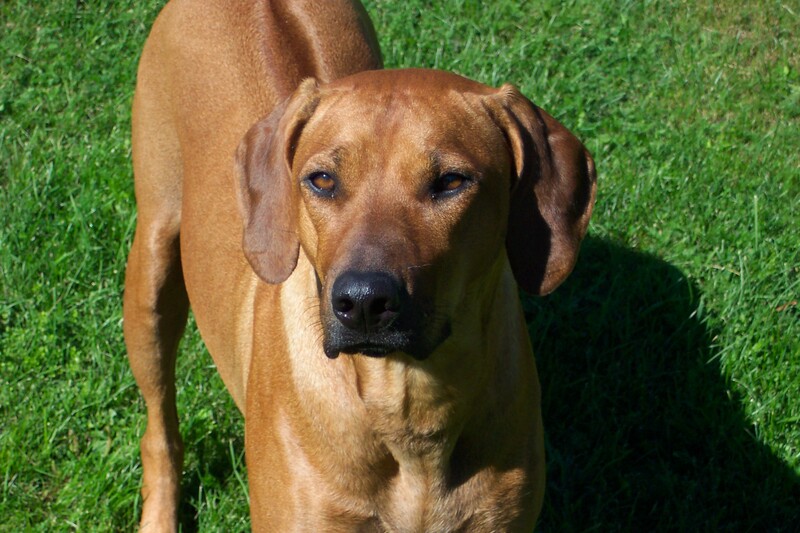 Rhodesian Ridgebacks have a low-shedding coat that is slick, fine, and lies flat against the body. 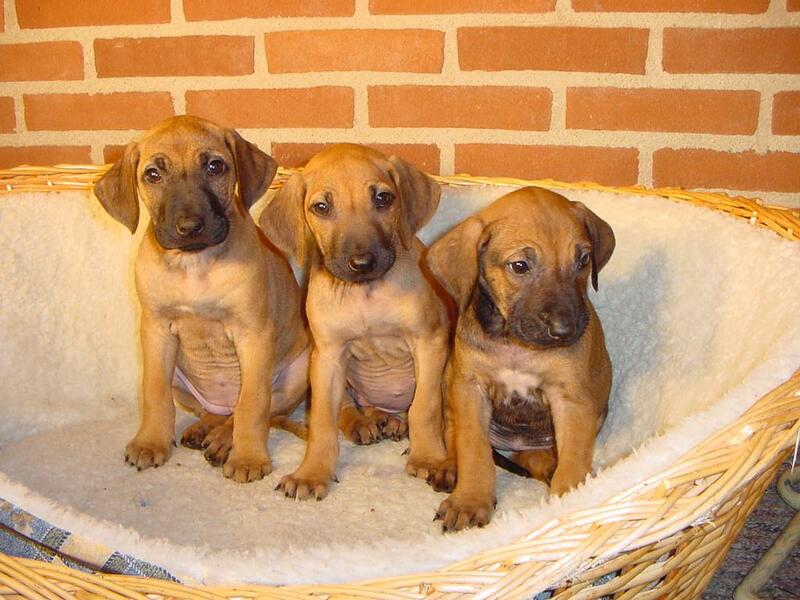 Their characteristic ridge grows toward the head, and it can be seen on the coats of Rhodesian Ridgeback puppies. 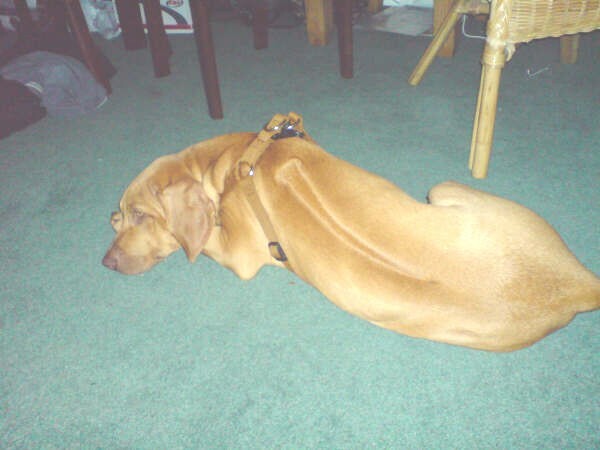 Coat coloring ranges from red wheaten to light wheaten, and some dogs have white on the chest and toes. 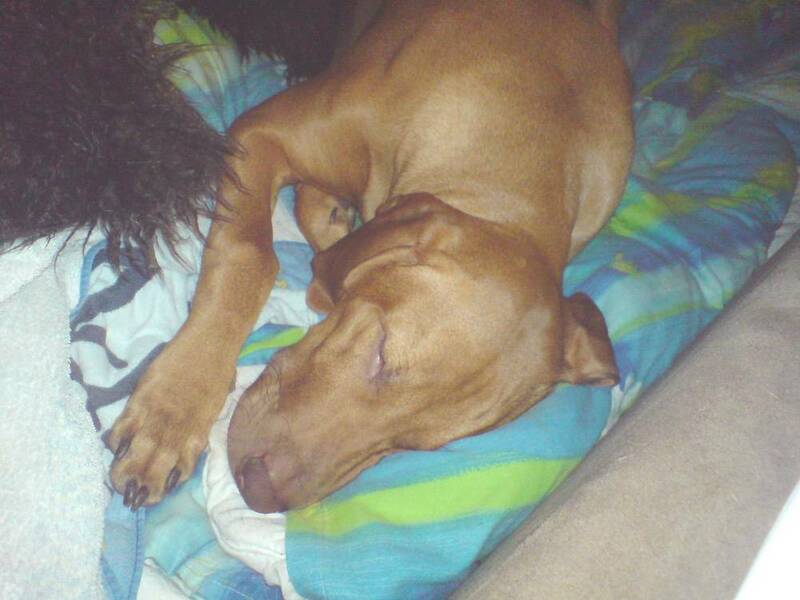 Height (Male) 25 - 27"
Common Misspellings Rodesian Ridgeback, Rhodesian Rideback or Rhodesien Ridgeback. They are intensely loyal to their family and will guard their loved ones at any cost. 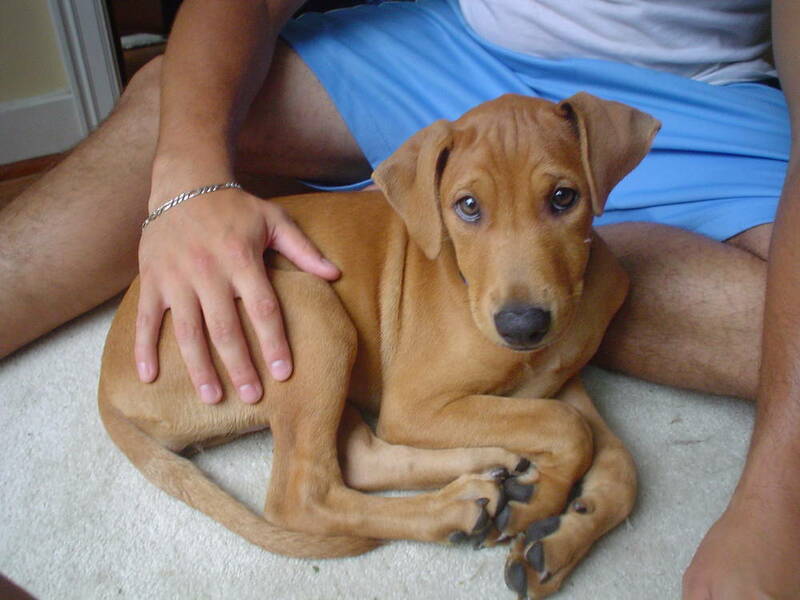 This means that even well-socialized Rhodesian Ridgeback puppies may be aloof toward strangers as adult dogs. 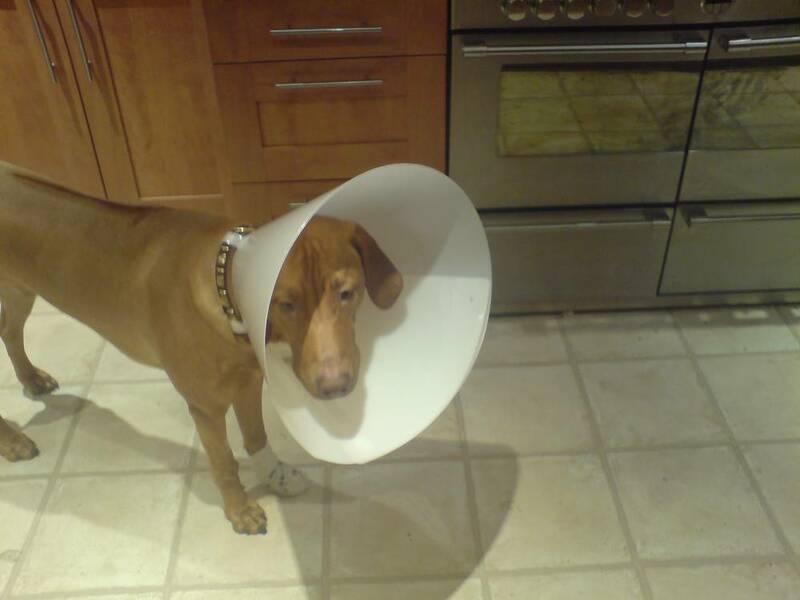 Obedience training is a necessity with this intelligent and strong-willed breed. 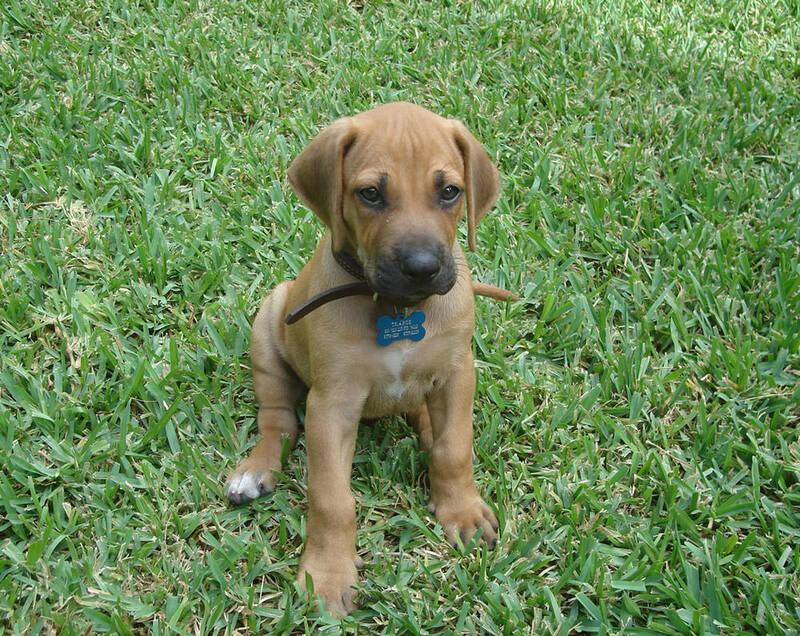 While Rhodesian Ridgeback puppies are wonderful, they are not recommended for first-time owners. 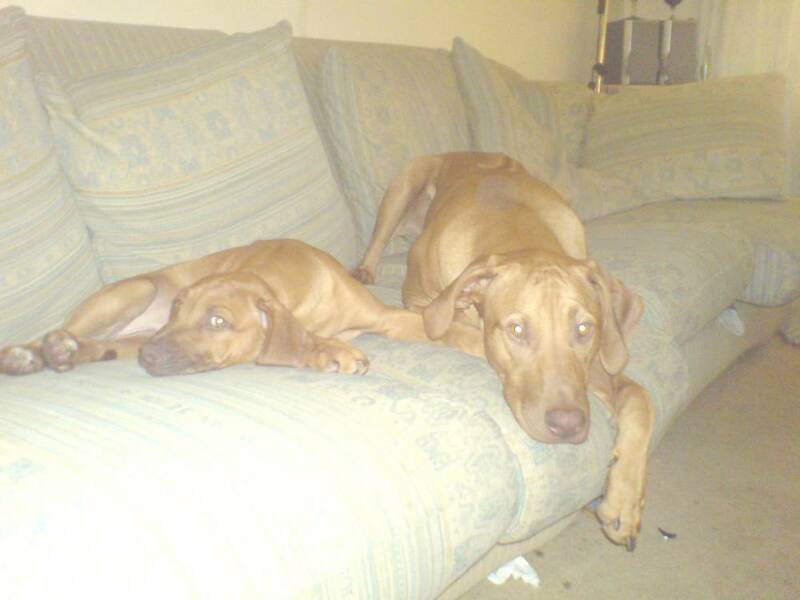 These dogs get along well with children and other pets as long as they are raised together from a young age. 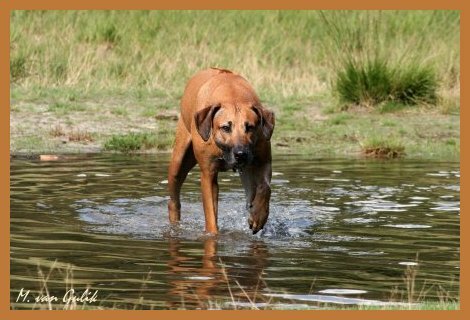 However, keep in mind that the Rhodesian Ridgeback has a strong prey drive, and they may hunt small animals or hop low fences. 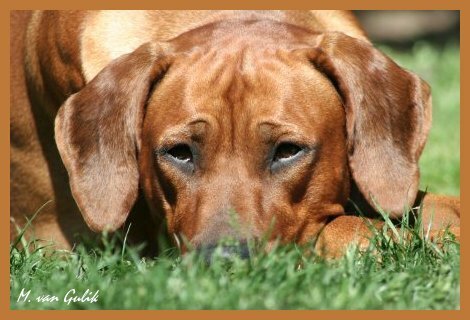 With proper training, plenty of love, and daily walks, your Rhodesian Ridgeback will become a wonderful protector and family companion. Grooming requirements are virtually nonexistent beyond a weekly or biweekly brushing. 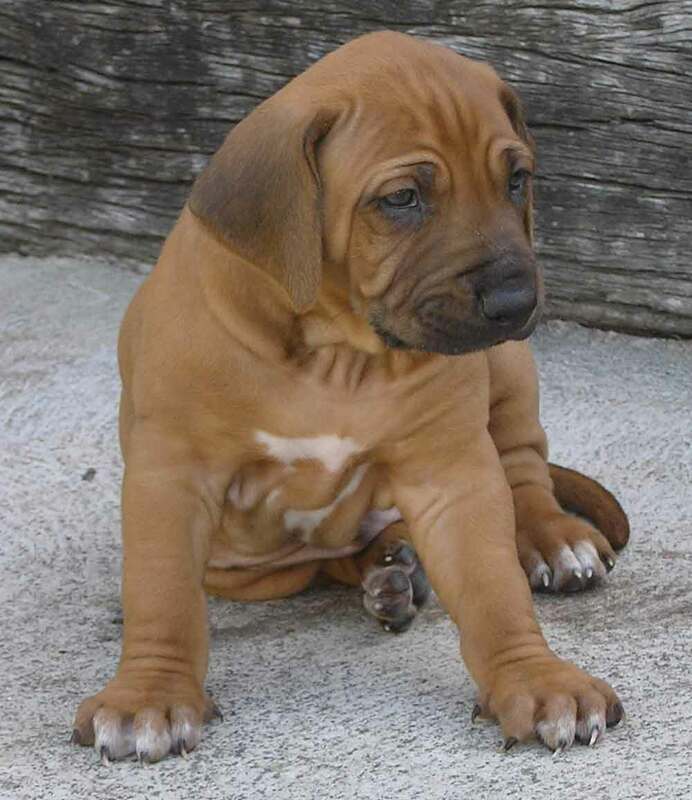 Keep an eye on their nails for occasional trimmings, and teach your Rhodesian Ridgeback puppy to enjoy teeth brushing its easier to form the habit when theyre young! 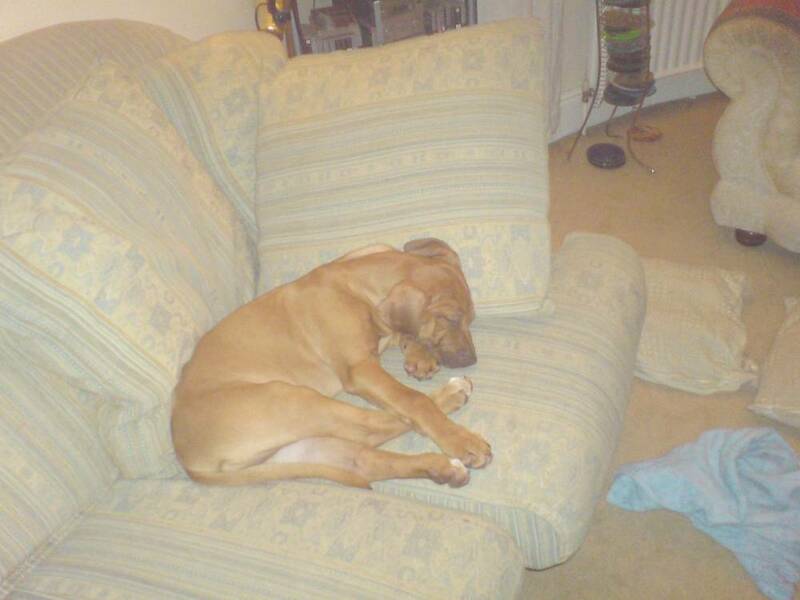 Like any large and athletic breed, the Rhodesian Ridgeback needs a lot of exercise. They love to run and can go great distances without tiring, which makes them a great jogging partner. 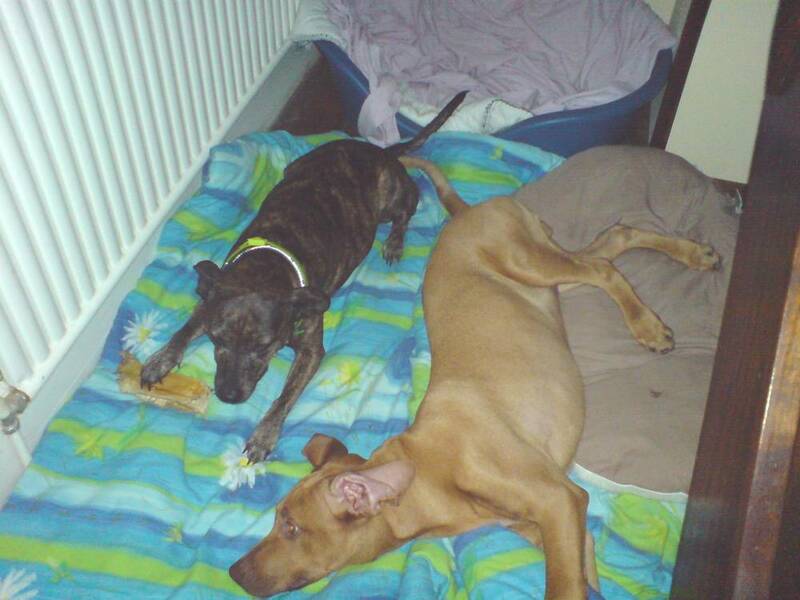 Give them a home with a fenced yard and plenty of playtime, and youll have a happy pup! 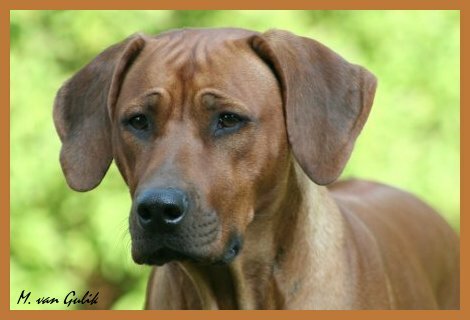 Dermoid sinus, hypothyroidism, canine hip and elbow dysplasia, and deafness are seen in this breed, so its essential to work with reputable Rhodesian Ridgeback breeders or a Rhodesian Ridgeback rescue. 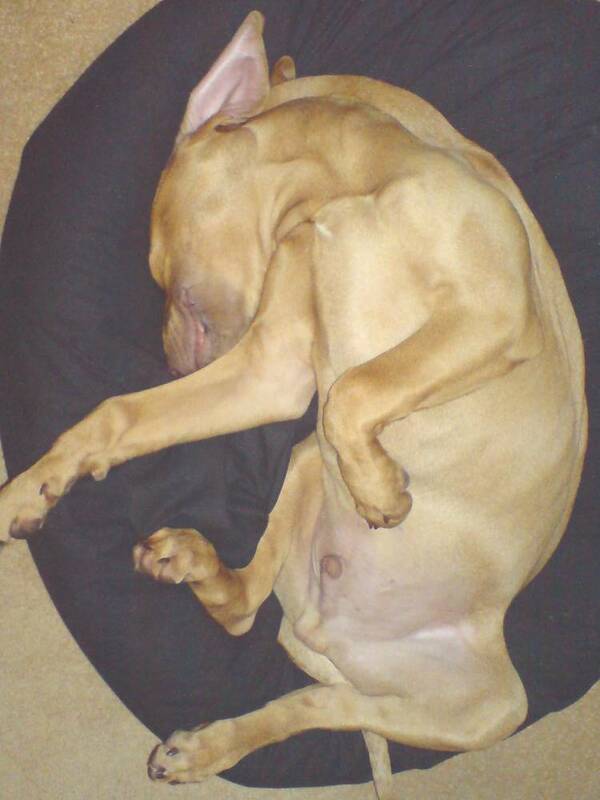 Check out our breeder listings for more information. During the 18th century, Boer farmers needed a hardy guardian dog that was capable of many tasks, all while braving the wilds of Africa. 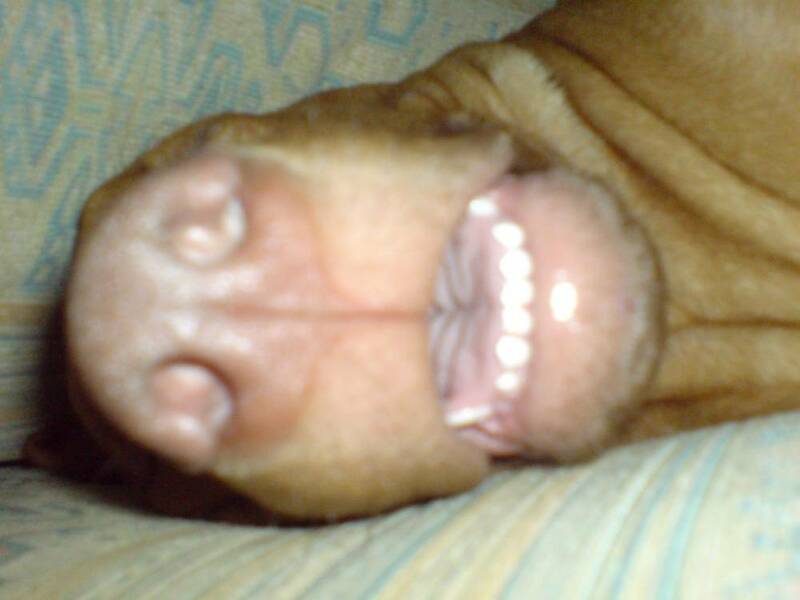 Selective breeding of domesticated European breeds with the comparatively wild Hottentot dogs produced just such a breed. 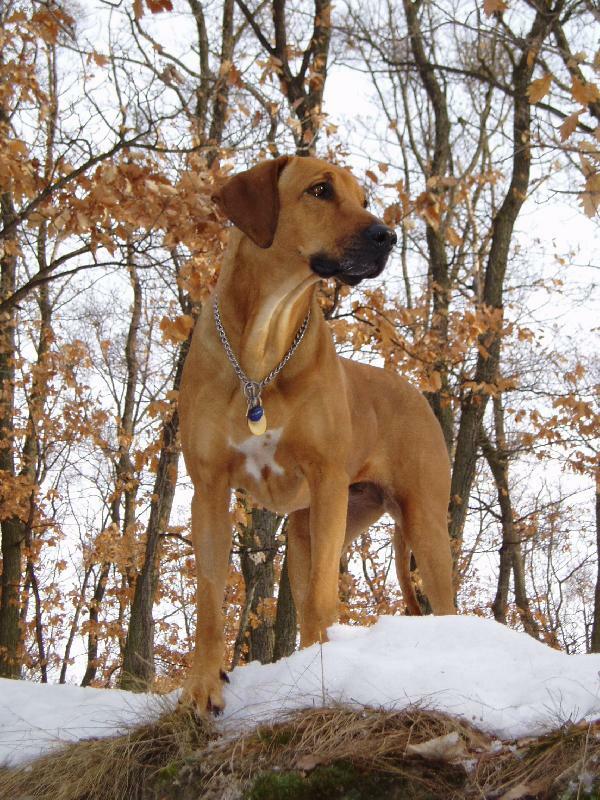 By the 19th century, the Rhodesian Ridgeback had become a fixture in South Africa. 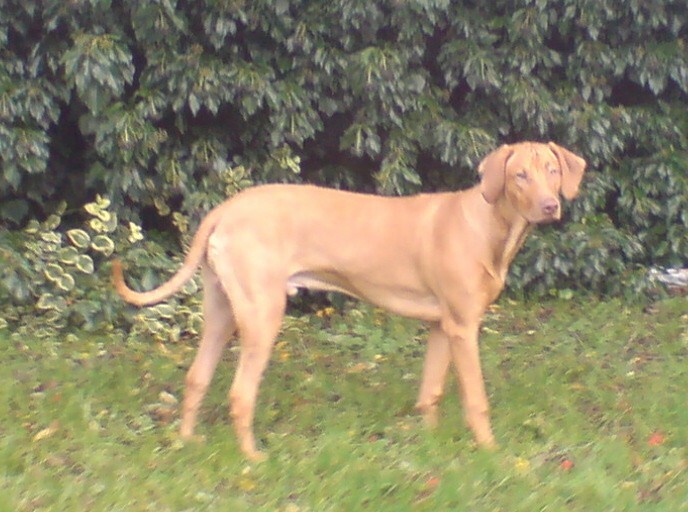 During the 1870s, a contingent of these dogs was brought to Rhodesia to hunt lions. Their great success in this task earned them the name African Lion Hound and caused them to forever be associated with Rhodesia. 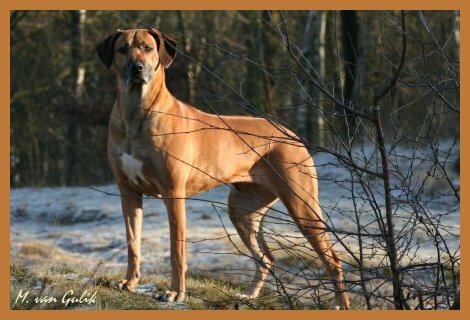 By the early 20th century, a proliferation of rather diverse-looking dogs all claiming the Rhodesian Ridgeback moniker created the need for a standard, which was drawn up in 1922 and has remained unchanged to this day. The dog was brought to both England and the United States in the 1930s, and the breed was recognized by the American Kennel Club in 1955. 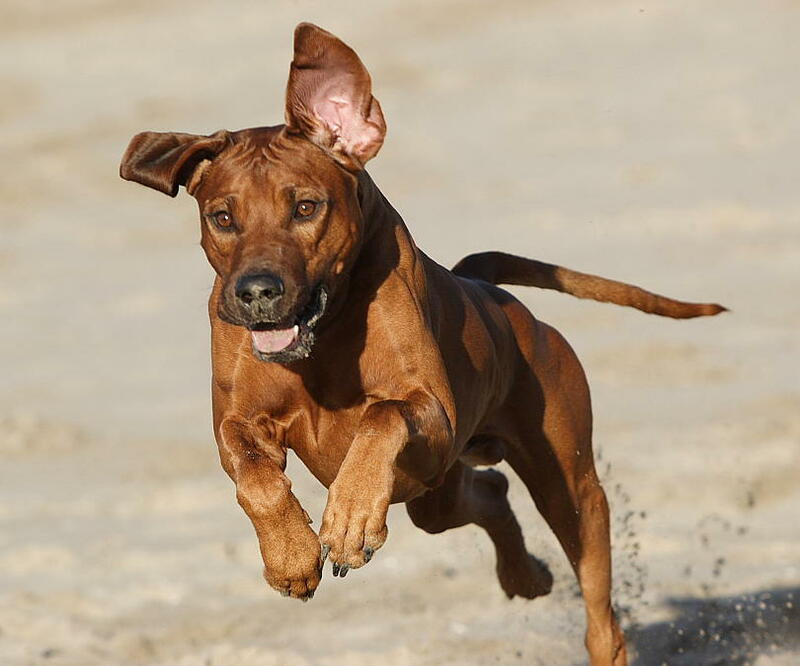 In the last 20 years, the Rhodesian Ridgeback has has become a fairly popular breed in the United States thanks to their loyalty and skills as a protector. 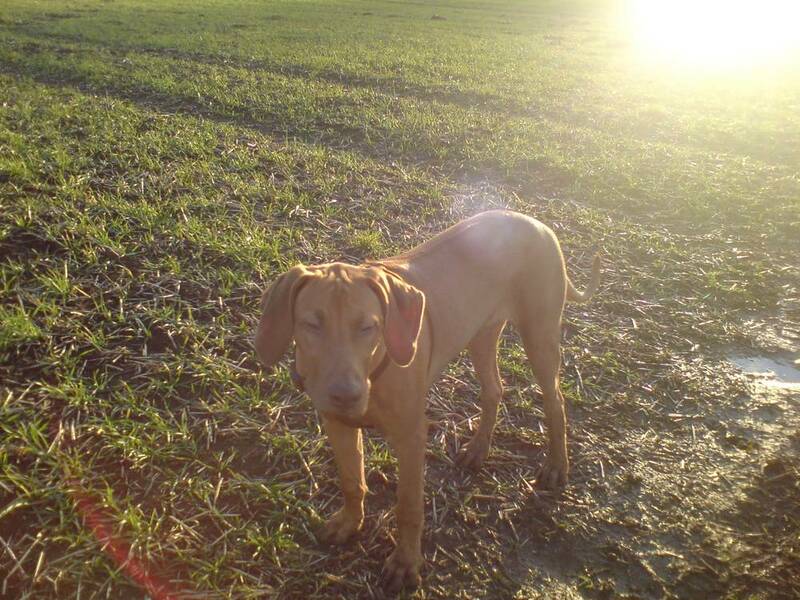 Find Rhodesian Ridgeback puppies for sale through our exclusive ethical breeder directory!